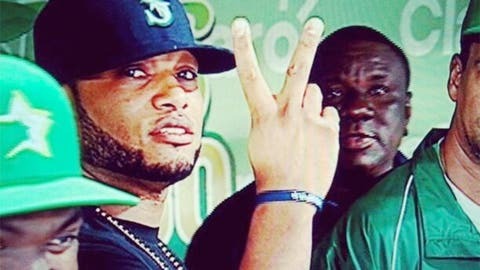 Robinson Cano is trading pinstripes for the Pacific Northwest, as he showed Friday night at a game in his native Dominican Republic, giving Seattle Mariners fans a first glance at their new $240 million man. The free-agent second baseman reached agreement on a 10-year deal, FOX Sports Insider Jon Paul Morosi confirmed on Friday. A source told the AP that the deal was pending a physical that had not yet been scheduled. The person spoke on condition of anonymity because there was no official announcement. Cano had spent his entire career with the New York Yankees and was a five-time All-Star. He played in 160 games last season and hit .314 with 27 homers and 107 RBI.